Included is a bestiary, additional background, and optional rules for the Fatemaster to employ in the campaign. 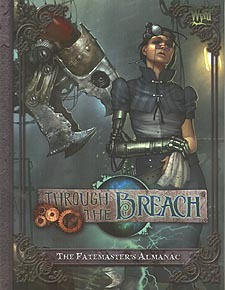 Players of the Malifaux Skirmish game will also find guidance for using the skirmish game to resolve combat in Through the Breach. If you're planning to run a Through the Breach campaign, this is the book you're looking for!